Here at Mood Fabrics, we are getting suited and booted! We have two stunning patterns that will have you ready to take on the world. Nothing screams confidence more than a well-dressed woman! 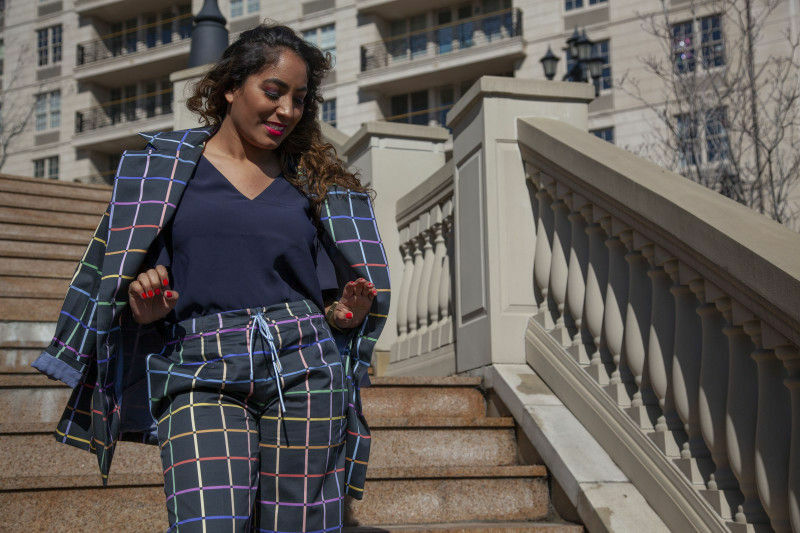 Together, the Nepeta Blazer and Nymania Pants free sewing patterns are the perfect examples of how to make a casual statement; each pattern plays a major part in creating the ultimate power suit. First up, we have the Nepeta Blazer! We’ve made ours using Moods Exclusive Rainbow Windows stretch cotton sateen. 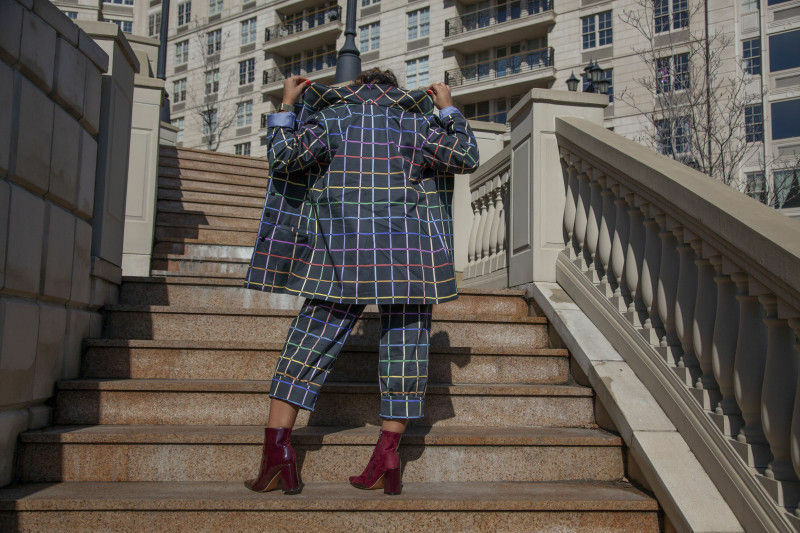 This colorful window pane plaid, along with the slightly over-sized boxy shape, is giving us all kinds of 80’s working girl vibes! 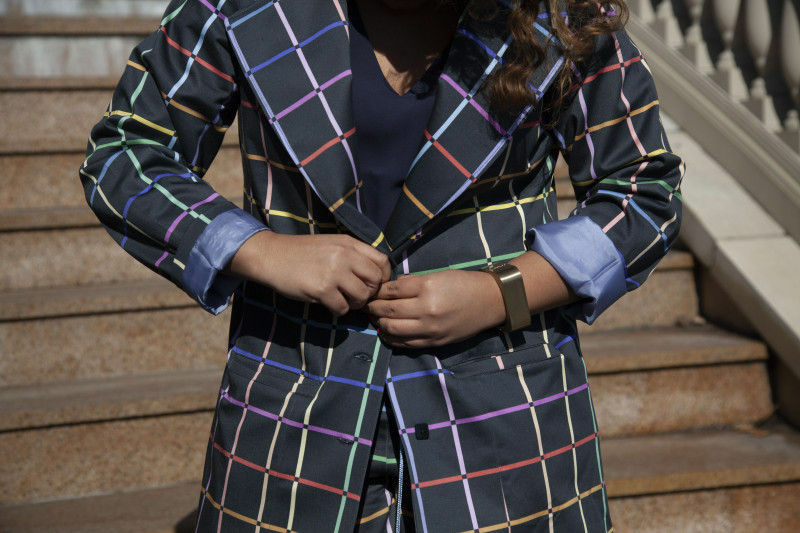 Try any one of our cotton sateen prints or plaid suiting as another option. You could even wear your Nepeta Blazer over a pair of jeans and belt it for a more feminine silhouette. Let us know how you plan to style yours! With right sides of fabric together pin the backs together and sew the center back seam. Do the same when attaching the front and side front pieces. Press all seams. Next, mark the placement of your pockets and baste stitch your welts in place as shown. Now place each pocket bag over your welts and stitch around the pocket opening. Clip down the center and snip close into each corner without cutting through your stitching line. Turn pocket and press. Topstitch around your pocket opening. Stitch around the edge of your pocket bag to finish. Pin your front lapel facing pieces to the center front and sew. Turn and press. Attach the front and back at the side seams and shoulder seams and stitch. Turn blazer and press all seams. 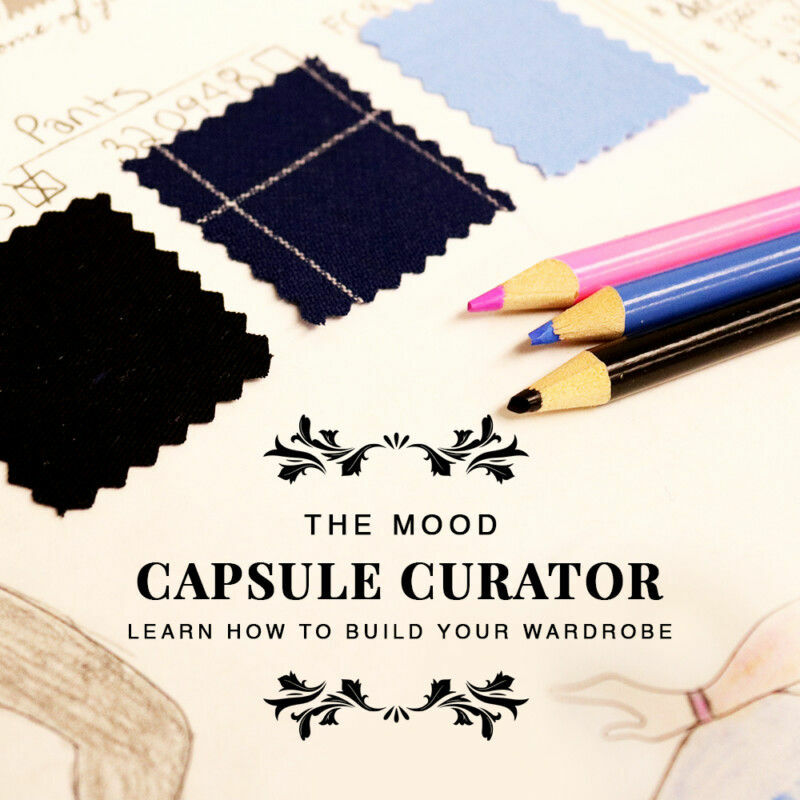 After you set in your sleeves, attach your collar to the front lapel and press. Topstitching around the collar is totally optional. You can now insert your lining. 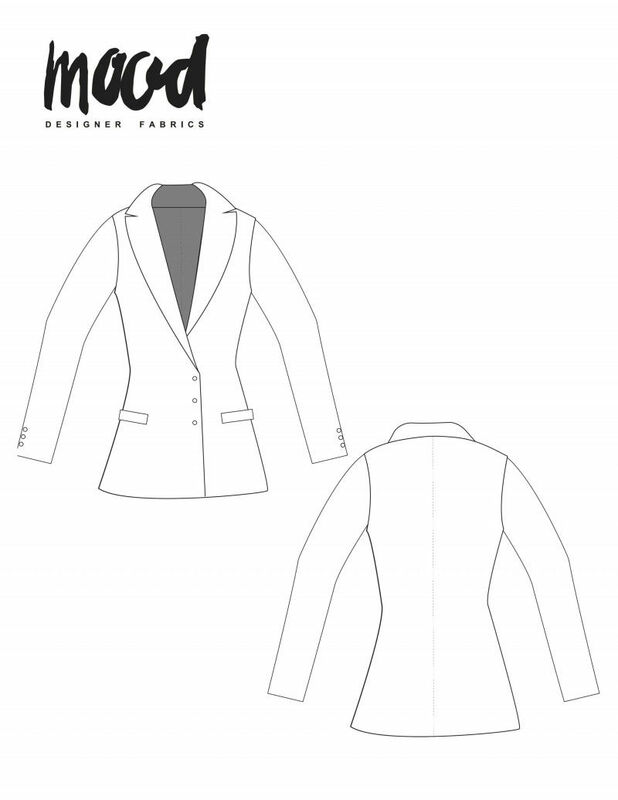 Turn in your blazer and with right sides together, pin the lining along the facing and neck. Make sure to leave a small opening at the bottom to turn it right side out. Pin sleeve and sleeve lining openings together with right sides facing and stitch. Turn and press. Align your button placket guide to the front of your blazer and transfer your buttonhole markings. All that’s left to do is add your buttons and slip stitch the lining closed and you’re done! Do you have to use a pattern for the march challenge? I used the products I ordered to make an outfit, can it be used in the challenge? Constructing My Original Utena Cosplay!